Explore outdoor and nature activities, cultural experiences, hunting and fishing activities, coastal sailings and cruises in Greenland. 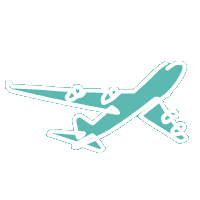 operates regular flights from Copenhagen to the main international airport in Kangerlussuaq and seasonal flights to Narsarsuaq. Also seasonal flights between Keflavik in Iceland and the Greenland’s capital Nuuk and from Keflavik to Ilulissat in the Disco Bay. flies year round from Reykjavik Domestic Airport to Kulusuk in East Greenland and the capital Nuuk in West Greenland. 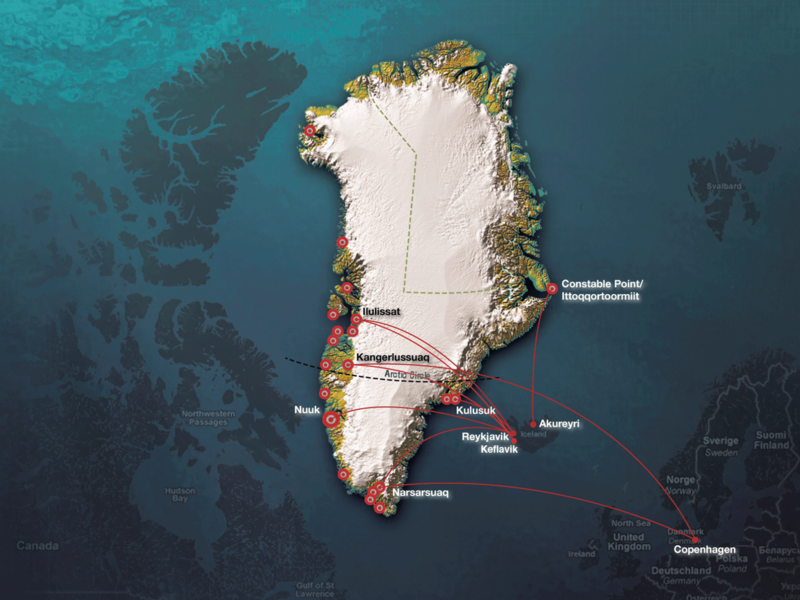 Air Iceland Connect also operates seasonal flights to Narsarsuaq in South Greenland, the capital Nuuk, Ilulissat in the Disko Bay and Kangerlussuaq in Destination Arctic Circle. Nordlandair from Akureyri in Iceland, also operates to Constable Point in North East Greenland. The Greenlandic airline Air Greenland flies all year around from Copenhagen to Kangerlussuaq in West Greenland and to Narsarsuaq in South Greenland in summer time. In the winter period there are four flights a week to Kangerlussuaq and up to ten flights a week in the summer. Narsarsuaq is served up to twice a week during the summer. The flight time to both destinations is just 4.5 hours. Onward transport to the towns on Greenland’s west coast takes place by airplane or helicopter, and there are frequent connections that ensure that it is normally possible to reach your final destination the same day. Contact your travel agency or Air Greenland for more information. 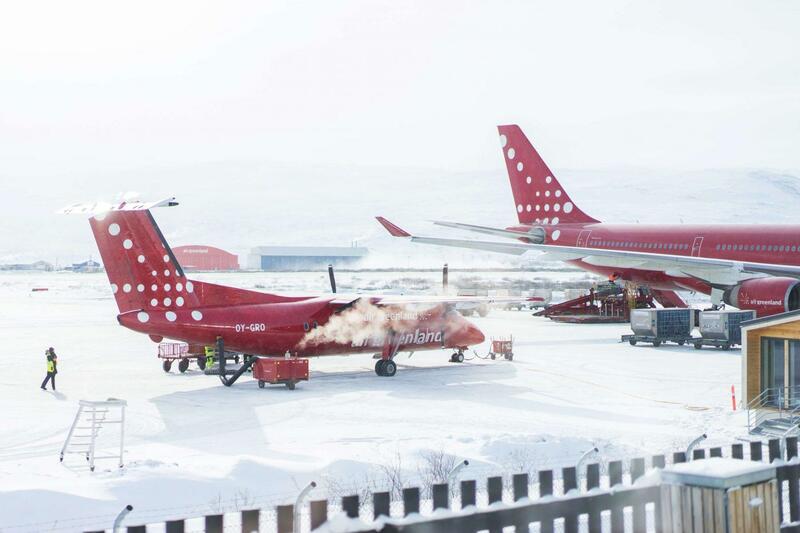 Air Greenland flies from the international airport in Keflavik to the capital, Nuuk, all year round, and from Keflavik to Ilulissat from March to October. Furthermore, the Icelandic airline Air Iceland Connect (not to be confused with Icelandair) has a service all year round from Reykjavik to Kulusuk and Nerlerit Inaat on Greenland’s east coast. Kulusuk is served twice a week in the winter season and every day during the summer. This is a very common travel route to East Greenland. Nuuk is served twice a week whole year round. 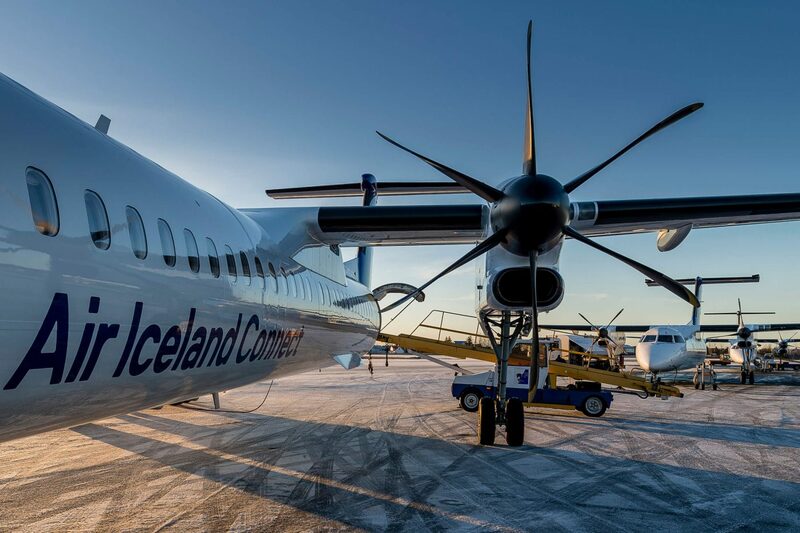 During the summer period Air Iceland Connect also flies to Narsarsuaq and Ilulissat several times a week, and to Nuuk from two to four times a week and to Kangerlussuaq. Air Iceland Connect also operate the route to Nuuk, Kangerlussuaq and Ilulissat in the winter time. The flight time to Kulusuk and Narsarsuaq is two – three hours from Reykjavik. Contact your travel agency or Air Iceland Connect for more information. There are no ferry connections between Greenland and Iceland, Denmark or Canada. 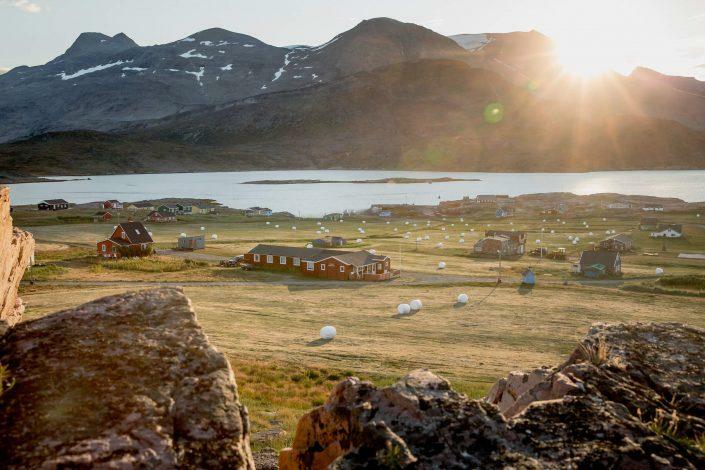 However, more and more cruise shipping companies are choosing to include Greenland on their itineraries, whereby it is possible to begin the voyage from Iceland or go onboard at, for example, Kangerlussuaq. Some shipping companies also sail from the USA and Canada or a country in Europe. 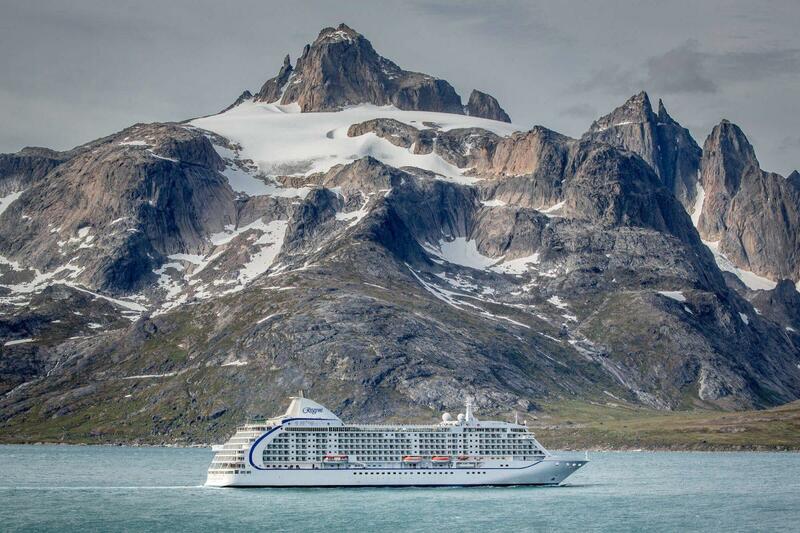 Read more about cruises to Greenland. Greenland is a rugged land and except for a few settlements and sheep farms in South Greenland there are no roads between any towns or communities. 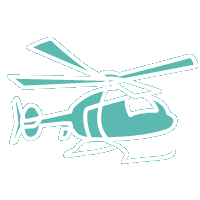 This means that passenger-approved boats, helicopters and planes tie the country together in a web of sea and air connections operated by both large and small scale operators. Greenland’s national airline Air Greenland services all major towns and a number of settlements with domestic flights and helicopter connections year round. Arctic Umiaq Line runs a ferry between Qaqortoq in South Greenland and Sisimiut on the Arctic Circle from April until early January with the service extending to Ilulissat in the Disko Bay from late April until Christmas. Disko Line ferries passengers between towns and settlements in the Disko Bay area, and Maniitsoq Tour Boat connect Maniitsoq with the capital Nuuk, both on a seasonal basis. And in South Greenland Blue Ice Explorer connects a number of towns and settlements while a range of smaller charter boats are available throughout the country. There are no roads between the towns in Greenland and all transportation is conducted with airplane or ship. The Arctic climate can sometimes be quite extreme, which places big demands on the security during the transportation. These requirements are fully fulfilled by the Greenlandic transport companies. For shorter distances, one can take approved boats or ships for sailing tours or as transportation between towns or villages. Air Greenland, the airline company of Greenland, handles a great part of the transportation of passengers with its four-engine Dash-7 airplanes, two-engine Dash 8-200 and different types of helicopters. 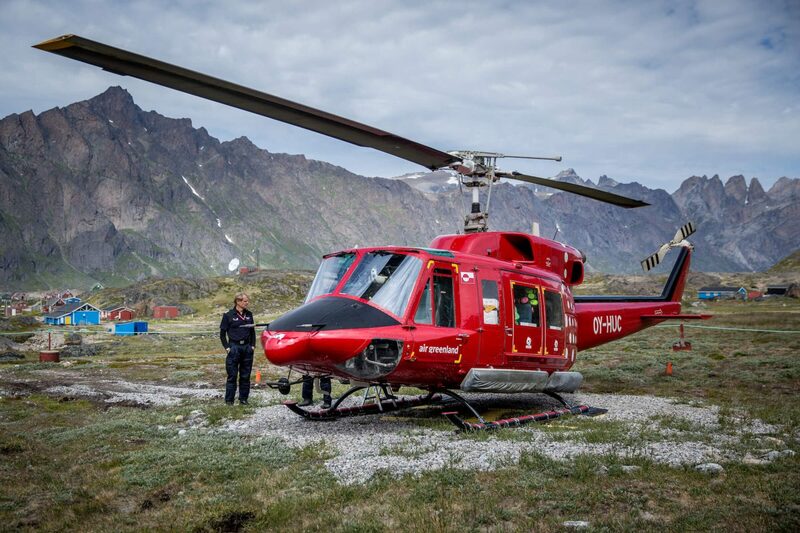 Helicopters especially serve the towns in South Greenland, North and East Greenland, as well as the small villages. The Dash-7 can carry up to 50 passengers and will typically fly in a height of 4-5 km, which gives the passengers a fantastic view over the ice sheet and glaciers. The Dash 8 design has better cruise performance than the Dash 7, but the aircrafts takes less passengers than the Dash 7. Sailing is another common means of transportation in Greenland. 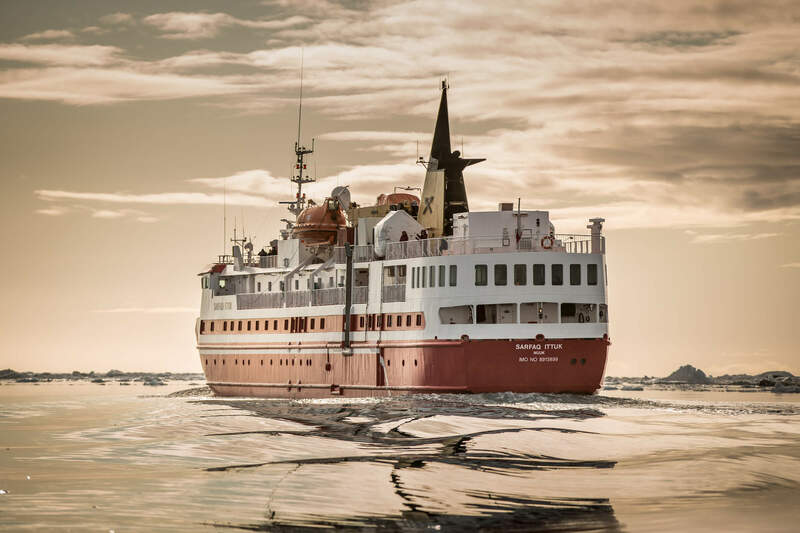 The passenger ship Sarfaq Ittuk from Arctic Umiaq Line is in service from April to December between Qaqortoq in South Greenland and Ilulissat in North Greenland. In the summer season it is a good idea to book tickets well in advance. For more information about sailing tours contact the local tourist office. The shipping company, Disko Line, operates in the entire west coast of Greenland with many small ships. In South Greenland, Blue Ice Explorer sails with four different boats. They sail between Narsarsuaq, Narsaq and Qaqortoq in the summer season. Ticket bookings can be made via www.bluice.gl. Always be sure to only use passenger-approved boats and ships – both for your own safety and to abide by the law. The summer is the season of the Midnight Sun and a great time to experience Greenland on both land and water. Whales swim along the shores, icebergs flow from calving glaciers, flowers and plants grow at tremendous speeds, hiking trails open up the backcountry, and boats connect the many communities along the coastline. The climate is generally mild and the weather in Greenland is often fine for long spells through this short, fiery season. See all activities in Greenland. When the first frosts arrive and snow starts falling the tone of Greenland changes, and the country wraps itself in a white blanket that lasts the better part of six months. Winter is a season for dog sledding, northern lights, ski trips, and star gazing. Fjords and bays freeze over, opening up more and more winter highways the further north you travel, and the rhythm of everyday life adapts to the Polar night, which peaks at Christmas time. See all activities in Greenland. Hotels in Greenland are a part of the joint European project, Hotel Stars Union, which means they are starred by European standards. You can read about the criterion at hotelstars.eu. Summer or winter, north or south. Outdoor or cruise, hotel or tent. There are many things to consider, before taking a trip to Greenland. Here you will find a range of questions that hopefully will answer some of the questions you might have. Whether you are traveling on your own or in a group, the information will hopefully make it easier, for you to plan a great trip to Greenland. No one can control the weather, but if you are properly prepared, you will find that the weather’s changeableness can be quite charming when visiting Greenland. Stretching approximately 2,800 kilometres (1,750 miles) from north to south and approximately 1,000 kilometres (625 miles) from east to west, Greenland is the world’s biggest island. Some people would probably claim that Australia and Africa are bigger islands, but according to international definitions they are regarded as continents. Such an enormous landmass, of which 85% is actually the ice sheet and is therefore white on the map, requires a lot of space when making maps. However, there are many types of maps that are all interesting to study regardless of whether you are hiking inland or sailing along Greenland’s coastline. Scanmaps is the place from where you can obtain a full range of maps of Greenland, from 1:75,000 to 1:500,000, and they can of course be ordered online. Scanmaps can also help to get hold of aerial photos if you know that you will be going outside the areas that are covered by the maps. You might get lost in London, Paris or New York City, but don’t worry in Greenland: Our towns are relatively small and easy to walk. In most towns, the local tourist office can provide you with a free map. Greenland Tourism has published a number of hiking maps that cover the most popular hiking areas in Greenland in 1:100,000. Routes and levels of difficulty are marked on the map, and on the reverse there are detailed descriptions of the routes themselves, natural conditions, fauna and whatever else you may need to know. On the majority of the maps there is also a view of the local area in 1:10,000. Even if you are not planning to go on a long hike, it is a good idea to get hold of a map. The maps are sold in Greenland at bookshops and tourist offices, at Nordisk Korthandel in Copenhagen and at selected outlets abroad. Saga Maps publishes maps in 1:250,000 of all the inhabited areas in Greenland. These maps cannot be used as trail maps for hikers, but they provide a good overview of the area you are visiting and are indispensable when on a sailing trip. Some of Saga Maps’ products are built up around a particular theme and on the reverse contain detailed information about the Viking settlers, American airbases, Inuit culture and so on. BLUE: Regional maps, South Greenland for instance or the Disko Bay area incl. Uummannaq. YELLOW: From Thule to Peary Land. GREEN: 5 maps covering area of land between Kap Farvel and Uummannaq. GREENLAND: Greenland in several different sizes. HISTORICAL GUIDES – With maps on the backside. Regardless of whether you are travelling to Greenland during the winter, the spring or the summer, we recommend that you dress according to the layer-to-layer principle. The outermost layer should be wind and waterproof, and underneath you should wear items such as synthetic fibre fur and/or wool. Even in the middle of summer, when it can be warm on land, sailing trips can be cold as the temperature of the water is only one or two degrees Celsius (33-36 degrees Fahrenheit). So bring a hat, scarf and gloves with you on a sailing trip. Regardless of the nature of your visit to Greenland, you will often have to travel a lot on foot, and frequently in hilly and uneven terrain. Therefore it is important to bring good, waterproof walking boots or walking shoes with a sturdy moulded sole. If it is the first time you are using this type of footwear, make sure you break the boots in before departure so as to avoid blisters. If you are coming to Greenland in spring to drive a dogsled, you can hire leather clothing and boots at the local tourist office or from the sled tour company. This is highly recommended as even light winds at sub-zero temperatures can feel bitterly cold. Greenlandic belongs to the Inuit-Aleut family of languages that is spoken by some 80,000 Inuits in Alaska, Canada and Greenland. In terms of its structure the language is completely different to Indo-European languages, and as a visitor to Greenland you will find that you understand absolutely nothing when Greenlandic is spoken – or ‘kalaallisut‘, as it is called, which actually means ‘the Greenlanders’ language’. 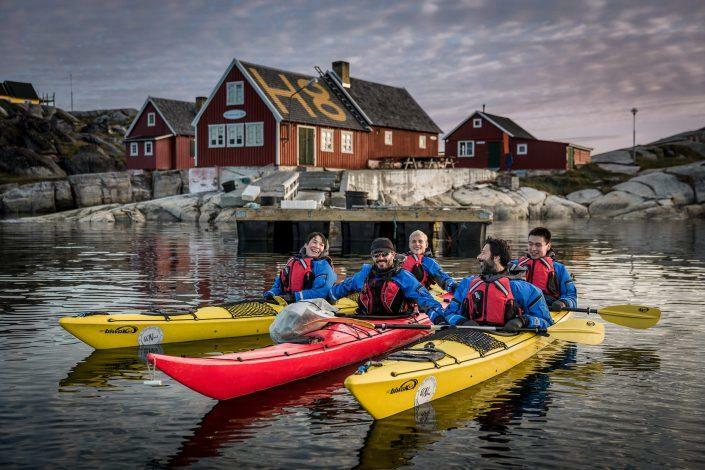 Danish is the first foreign language learned in Greenland’s schools, and the majority of the population also speak good Danish, especially those living in the towns. Danes can therefore easily get by with Danish when visiting Greenland. Many young people who have attended a course of study in Denmark or abroad also speak good English. Tourist offices often have personnel that are able to speak German and sometimes also French. Guided excursions are usually available in several languages. Contact your local tourist office to hear which language services they are able to provide. The Greenlandic sound that is spelt with a /q/ can cause some problems, but is pronounced almost like /kr/. Another special sound is /ll/ or /rl/ which is pronounced almost like /sl/. You can read much more about the Greenlandic language in the handbook “Greenlandic for Travellers”, which can be bought on the Internet or at good bookshops. The book should be able to expand your vocabulary from the three words you perhaps already know: Kayak, igloo and anorak. On this page you can see a selection of typical Greenlandic souvenirs and read about the regulations concerning the export of certain types of souvenir. Greenland is part of the Danish national community, and a common currency is thus used, i.e. the Danish krone. There are banks in all major towns, and it is often possible to change money at hotels. In the major towns there may be a few places that accept foreign currency, but it is more the exception than the rule, and not surprisingly the exchange rate is rarely favourable. It is fair to say that Greenland is self-sufficient with regard to fish, certain meat products and ice cubes. Everything else has to be imported by either ship or aircraft, and this of course has an impact on prices. Compared to Scandinavia, prices are approx. 10% higher, and alcohol, tobacco and fresh fruit and vegetables in particular are at the high end of the scale. You will probably be surprised at the wide range of goods to be found in a supermarket in Greenland – in many ways similar to what you would find in a European supermarket. However, since almost everything except fish and certain meat products has to be imported to Greenland either by ship or by aircraft, price levels are a little higher than in Europe. 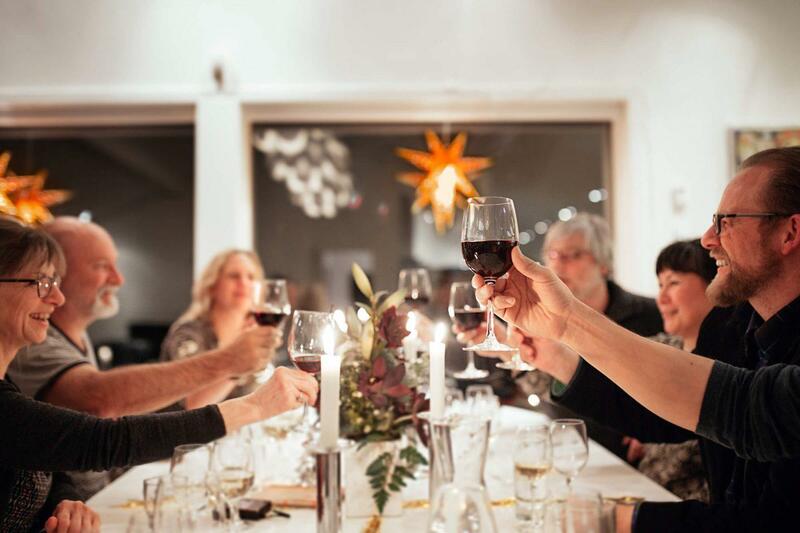 Alcohol, tobacco, fresh fruit and vegetables and dairy products are considerably more expensive in Greenland, however. In the settlements the choice of goods in the shops is of course somewhat more limited. The more inhabitants there are in the settlement, the greater the choice. On the other hand, it is often possible to buy fresh fish, lamb and seal meat at reasonable prices. Souvenirs are also occasionally sold in shops in towns and settlements, but depending on the type of article in question, the quality is not always as good as the types of souvenirs that are sold at tourist offices and in souvenir shops. In the major towns supermarkets are typically open on weekdays from 10:00 – 17:30, on Fridays until 18:00 and Saturdays from 09:00 – 13:00. In many towns, however, there are corner shops and grocer’s shops that have longer opening hours and which are also open on Sundays. If you are on a hike lasting for several days, you should take your dry provisions with you from home as you cannot expect to be able to buy specialised products in the shops. However, in general the population in Greenland is used to being out in the great outdoors, and therefore in the vast majority of towns it is possible to buy outdoor clothing and equipment, including the small gas cartridges used for cooking food when out hiking. Gear for hunting and fishing is also usually available. Read how to acquire fishing license here. Once you buy the license, you’ll get a receipt, which is valid as fishing license. Bring the receipt with you on your fishing trip so you can show it on request to the relevant authorities. 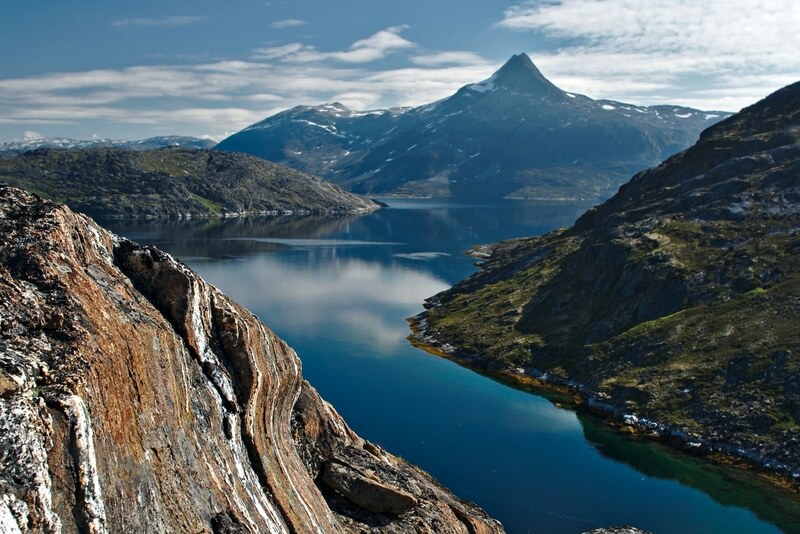 The majority of Greenland’s nature is actual wilderness, with few or no paths, numerous mountains, rivers and glaciers. The very clear air means that it can be hard to judge distances; it is often a lot further to a given point than you might think. The terrain’s degree of difficulty varies from the very easy to the very challenging. It means there are options available for hiking tourists of all abilities. Both the laid-back pedestrian day-tripper and the experienced, well-trained hiker will find endless possibilities to explore the Greenlandic nature. Everyone should be aware that help can be a long way away and that mobile phone coverage is rare when you are out in the heart of the wilderness. 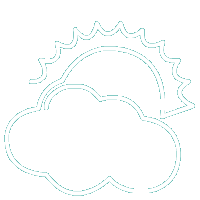 The weather is generally stable in the summer, but sudden weather changes can also occur. Thorough preparation is essential, as is having the right equipment and listening to the advice of those with local knowledge. Making and keeping agreements about expected news and return is equally important. There are paths close to most towns and settlements that lead out in the mountains. Some of these are marked as hiking routes, but many of the paths disappear once you move slightly away from built-up areas. It is therefore important to always keep track of where you are, and a map, compass and GPS (including spare batteries) are essential. There are a number of 1:100.000 hiking maps that are very accurate, but many areas are only covered by 1:250.000 maps, which are not particularly well suited as hiking maps. When straying from the paths into open terrain, it is always tempting to take the shortest route. But the shortest route can sometimes prove to be the hardest. You can unintentionally find yourself in a place that you can neither leave nor get to – while it is much easier to walk and semi-climb upwards, it is also much harder to walk downwards. If you are hiking over the top of somewhere and need to start using your hands to go further, then your hike has in fact turned into a climb, and it can suddenly prove difficult to get back down. So always make sure a retreat is possible. When walking in Greenland you will most certainly have to cross a stream or a river. Few hikers avoid getting their feet wet at one time or another. 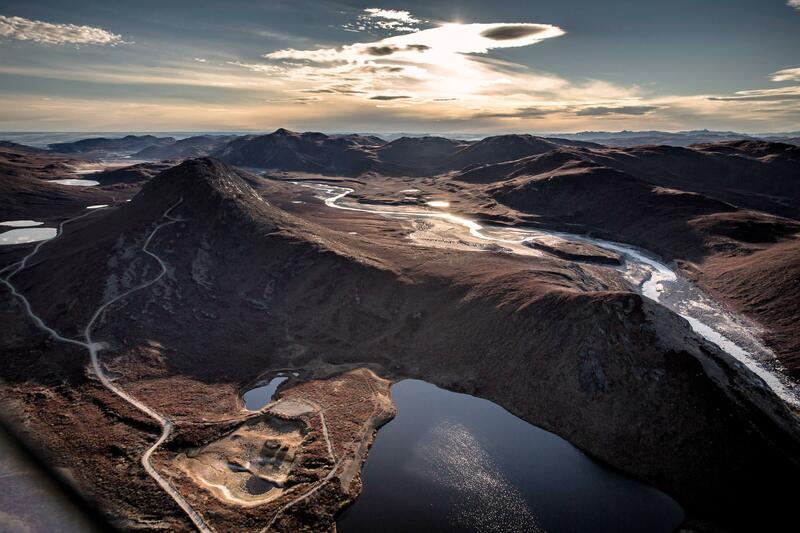 The water flow in Greenland’s rivers can vary enormously. A small stream can swell to a gushing river if it starts to rain. The rivers born of glaciers vary significantly in intensity depending on the temperature. The water flow in these rivers is typically calmest in the mornings and roughest late in the afternoon. If you cannot walk across dry-foot, then you will have to wade through the water. Keep your hiking boots on, but take your socks off first. A good rule of thumb is that gushing water should never reach higher than your knees – otherwise you risk getting knocked over. A pair of hiking sticks/ski batons really help keep the balance. If you feel unsure then turn around. If it is very important to cross, and you are unsure whether you can, then tie a rope to the person crossing. Should he/she fall in, they can be pulled to safety by someone else in the group – you need to be at least three in your group to do this. The rope should be doubled up so that everyone can use it to get across. If you have the slightest doubt, don’t do it. All glaciers have crevices. A glacier with snow has hidden crevices and you should therefore avoid walking on a snow-covered glacier unless you have at least three people in your group with complete glacier equipment (braces, rope, ice axes, crampons and equipment for glacier crevice rescue). If there is no snow on the glacier, which is the case with the lower lying glaciers in the summer, then you can sometimes walk quite safely on them. You should however be equipped with crampons or smaller crampons that can be fitted to hiking shoes and boots as well as have a hiking stick. The ice is slippery with many sharp stones scattered on the surface, so it is easy to get cuts and bruises, – wear gloves, long trousers and long sleeves. NEVER walk without a rope on snow-covered areas of a glacier! 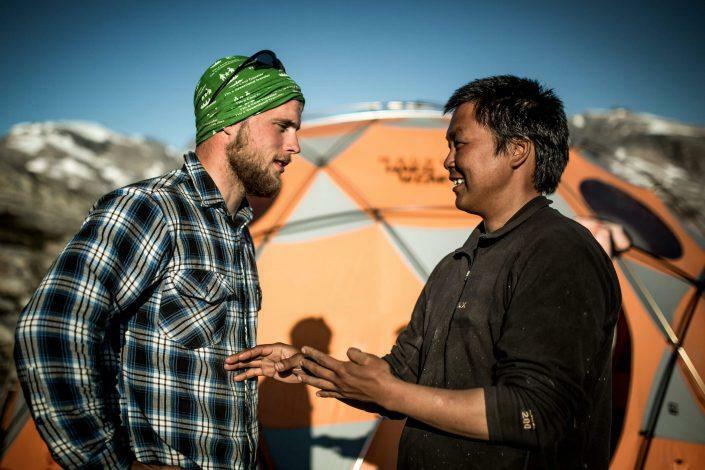 When choosing a safe place to camp, look around you: Is there a risk of rock falls? Is there a risk of high tide and waves reaching the tent? It is relatively easy to see where there have been previous rock falls and it is never a good idea to camp there, so this is something that should always be fairly straightforward to determine. There are often many good places to camp in the fjords close to the water, but there is a big difference between high and low tide, which means you can get caught out and the water can get too close to the tent. Check to see where growth is dense and dry, as this is where the water does not reach. If you camp by a fjord with large icebergs or where a glacier ends, there is a risk of one of the icebergs falling or the glacier calving, which causes extremely big waves. Waves can reach several meters up on land. A good rule of thumb is to camp higher up than the distance the tallest icebergs reach above the water’s surface – or higher than the glacier front. The weather is often good and stable in the summer. The weather forecasts are more or less reliable 3-4 days ahead, but you can get a surprise visit from the Föhn winds from the inland ice, and every sunny day produces a fresh, powerful sea breeze in the fjords. The sea breeze always comes quite quickly in the morning and eases off in the evening. Kayakers will very quickly experience this and may choose to paddle early in the morning, which of course they can in summer as it is light all day and night. A spell of bad weather with rain and wind lasting several days is to be expected in between, so never overestimate your own capabilities. The relatively low temperatures combined with rain and wind can lead to hypothermia, which can be a life-threatening condition. Better to be bored in your tent than soaked through and cold. It can be a benefit that mobile phone coverage is mostly unavailable, because then you really do get to have a holiday and feel far away from the daily routine as well as be free from calls, texts and emails. The disadvantage is that help is further away, which means you need to keep your wits about you so that you are always ready to handle any emergency situation. Should you want a greater degree of safety then buy a “SPOT – Satellite Personal Tracker”. The SPOT can be programmed to send a location and a daily “OK” to an email or telephone number of your choice. In an emergency situation you can send a “Help”, which will also instantly highlight your location. Better, and considerably more expensive, is an Iridium satellite phone, which you can use to contact people with directly. It allows you to provide exact information about your problem and help can be tailored to the situation. Greenland provides endless opportunities for all those wanting to experience a unique nature. For your trip to be successful you need to gather as much information as possible. Every destination holds a wealth of local knowledge that you should research and listen to. Such information combined with your own experience should give you an idea of the trip ahead of you and of what you need to do to prepare. If you are on your own or have any doubts whatsoever, then there are plenty of tour operators that can help arrange hiking and kayaking trips on a highly professional level. The sea in Greenland connects towns and villages to one another, and the fjords and mountains are places where Greenlanders themselves go for excursions out in the great nature. Here, sailing in boats is so natural and widespread that it can be likened to common car transportation in the rest of the world. 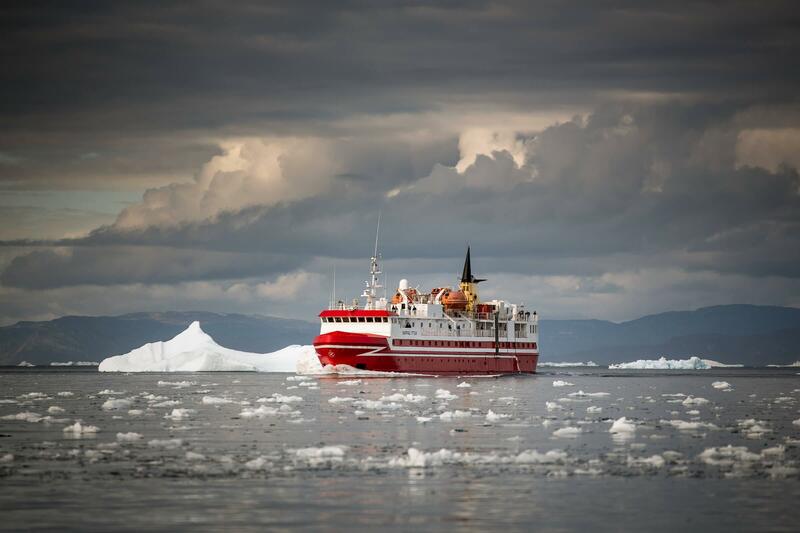 As a tourist in Greenland, you should always, without exception, only use passenger-approved boats and ships – defined as those which are intended for use by tourist passengers. Passenger-approved boats meet the Danish Maritime Authority’s strictest requirements possible for: safety equipment on board, boat type, maximum number of passengers on board, where to sail, and when to sail. Unfortunately, accidents at sea happen every year – even for locals. Any money spent for the hire of a private, non-commercial boat owner to provide a private sailing tour can prove to be an extremely poor decision if there is an accident and you are in need of help. In terms of communication, Greenland is a high-tech society. There are now more mobile network subscribers than fixed network subscribers. The mobile phone system in Greenland is GSM 900/1800, and with the exception of one or two settlements the system covers all the inhabited areas of Greenland. Tele Greenland has details about which countries have roaming agreements and with which phone companies. It is of course possible to communicate via SMS, MMS and GPRS. Fixed network telephones are found at all post offices, from where you can call anywhere in the world. In many cases post offices also sell mobile phones and Pay As You Go cards. Please remember the time difference when phoning home. From the towns on the west coast of Greenland to Copenhagen, for example, there is a 4-hour time difference, whilst to London the difference is 3 hours. 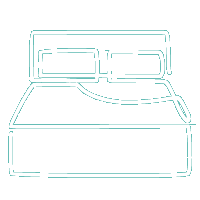 Hotspots have been established in most major hotels so that you can access the Internet, and more and more hotels are also offering connections from their rooms. There are Internet cafés and wifi in the libraries in a number of the bigger towns and at several tourist offices it is also possible to check your webmail. “Greenland and the Arctic”, Lonely Planet, is the best all-round book for travellers to Greenland, whether you are travelling independently or have purchased a package holiday. The book contains lots of information about all the towns in Greenland and contains a number of thematic articles about the country. “A Nature and Wildlife Guide to Greenland”, Gyldendals Forlag (Denmark), contains detailed information on Greenland’s flora and fauna, geography and geology. ”This Cold Heaven: Seven Seasons in Greenland”, Vintage. The American author Gretel Ehrlich provides an account of her seven journeys in Greenland, in particular in North Greenland. Ascension Day (40 days after Easter). Whit Sunday (seven weeks after Easter). 25 Dec First Day of Christmas. 26 Dec second Day of Christmas. 31 Dec New Year’s Eve. Do you have any concerns or seemingly far out notions of Greenland which you have heard of from others? That polar bears walk our streets!? That we live in igloos?! That it is cold and dark in Greenland all year round?! Do not worry or be shy. We have heard them all before, so let us talk about it. Just send us your questions by writing to info@visitgreenland.com – we look forward to hearing from you. And by the way, there are no polar bears in our streets. No one really lives in igloos – only hunters occasionally when on hunting trips in the wild and in the wintertime. Admittedly, it can be cold and dark in the wintertime, but also very warm and bright in the summertime. And that is a fact. In Greenland sudden changes in weather are common, and you have to be prepared for all types of weather when on an excursion. During the winter, temperatures range from minus 5° C to minus 30° C and in the summer from plus 5° C to plus 15° C. As the air in Greenland is very dry, temperatures do not feel as cold as in Europe. A fishing licence is required in order to fish. Licences can be bought at post offices and tourist offices. The fishing licence gives the holder the right to fish with a rod or hand line. The Arctic environment is vulnerable, so please only catch what you can eat. Ask at the tourist office for details of any local conservation rules. Price for a fishing licence: 24 hours DKK 75.00, 1 week DKK 200.00 and 1 month DKK 500.00. Visitors may only go hunting if they are on a trophy hunt organised by certified operator. Sled dogs are working dogs and live accordingly. Here is a useful infographic about five tips / pieces of information worth knowing about sled dogs. You do not need a visa as a Dane, but if you come from a country from which a visa is required to enter Denmark, it should be noted that you are travelling on to Greenland. Remember to take your passport with you, as security regulations may require that you provide proof of identity both on arrival and on departure. Visit this website and see if you need a visa to come to Greenland: New to Denmark. There is a hospital in all towns, and in the settlements there is usually a nursing clinic. It is recommended that visitors bring their own medicine and any other medication that is used regularly, as special products are not always available. In the event of acute illness, treatment is free of charge in Greenland. Read about rules governing health care provision for temporary residents in Greenland. The majority of package holidays to Greenland include a tour of the town, and after that you will not have any problems finding your way around. A “city” such as Sisimiut has just 5,000 inhabitants, so getting lost is not very common. You should be aware that Air Greenland is very strict about overweight baggage and the price per extra kilo is very high. This is because Air Greenland also acts as a cargo carrier and that everything is brought to Greenland via sea and air. Therefore, every kilogram is valuable. Check the prices here.